A while back, I stumbled upon an Apartment Therapy feature on Cathy McMurray, an artist from Portland. I was immediately drawn to her mixed media paintings of nature and landscapes, which are done with such vivid color and striking detail and originality that I hoped one of her works would eventually make it's way into our home. 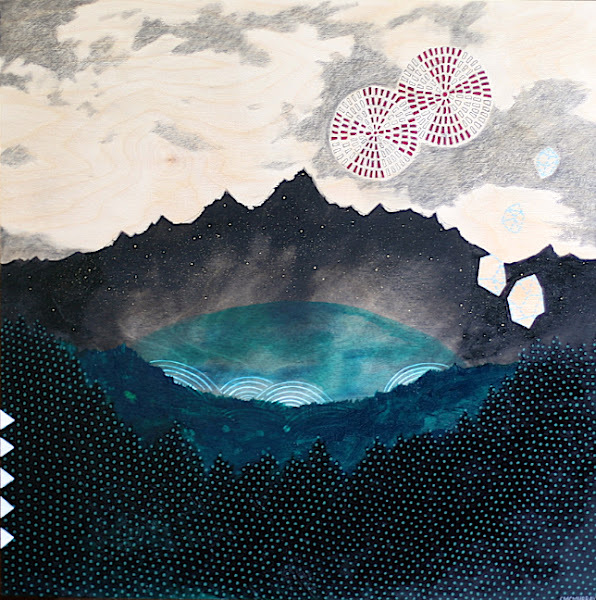 In January, she posted a new piece, Caldera, which she painted on locally sourced wood, and then wrote beautifully about new beginnings, both of which resonated with me as we approached the one year anniversary of Margot's death. 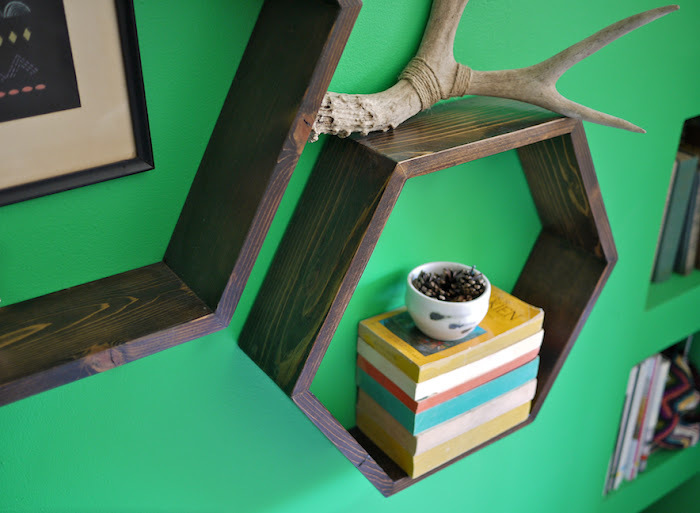 After trading emails, Cathy and I came up with an art for furniture swap, artist and artisan, which involved trading Caldera for three hexagon shelves that I would make for her out of reclaimed pine. You can find more of Cathy's beautiful (and affordable) work in her Etsy shop. 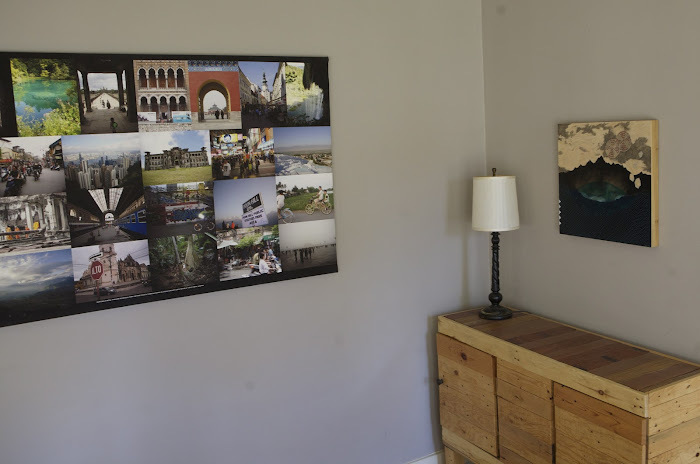 She also has a regularly updated blog, Habit of Art, that features new artwork and beautiful images from in and around Portland. I love a good trade, and it looks like you both got a great deal on this one, the artwork and the shelves are gorgeous. Josh, so fun to see the painting hanging in your home. You need to brag way more about your work! Wood salvaged from the walls of an LA home and then constructed into hexagon shelves w/o nails is no easy task. Thanks again for the beautifully crafted shelves- love 'em! Beautiful - the painting and the shelves. That sideboard or dresser is gorgeous too. You make beautiful things, and I love that you work with salvaged wood. This is really cool, I like here! cheap oil paintings - Elegant oil paintings for home deco.